These photos have been shared by Carole. Thank you Len for putting the photos on. 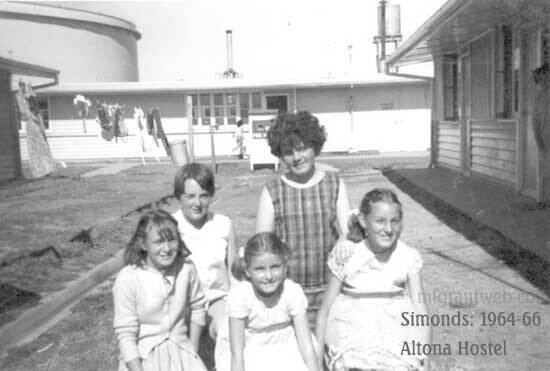 The top one is the canteen staff at Altona Hostel, my mum is kneeling 2nd from right, looking downwards. 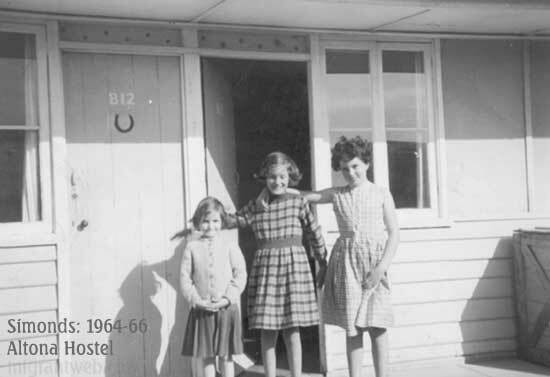 The middle photo is, left to right, Kay, Wendy and me outside our flat. And the third photo is Linda Eaton, me, Wendy, Kay and we can't remember the name of the girl front left. Does anybody know her name? Great photo's. 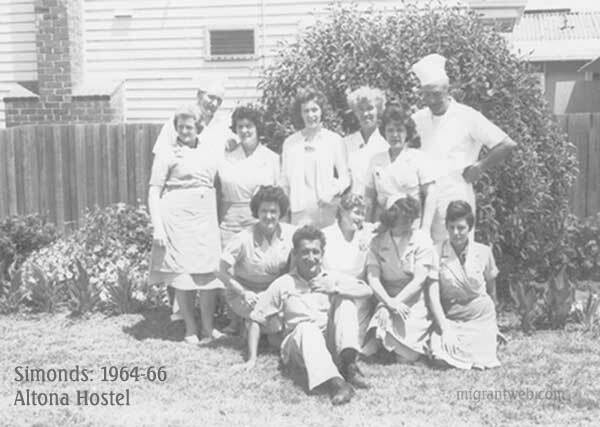 I can see my mum on the canteen staff photo. she is stood in front of the fella in hat. is that Otto? I remember her on about Otto, she said they didn't bomb Wigan in the war, he said it's because they couldn't find it. sorry don't remember the kids. Thanks Olive. looking at the photo i do remember some of the ladies, but not any names. Just realised I put party "flocks", I actually meant frocks (dresses)! Where flocks came from I don't know!! Olwen is that you in-front of my mum, looking down. have a feeling i have seen this photo before. Hi Eileen, Looking closely I think the one in the middle back row is me. I didnt realise Eileen that your mum worked in the canteen,or Olwen for that matter,maybe that was after we left! Pat is that your mum, the one on the left, kneeling down?